This intelligent breed is often used in law enforcement and on search-and-rescue teams. 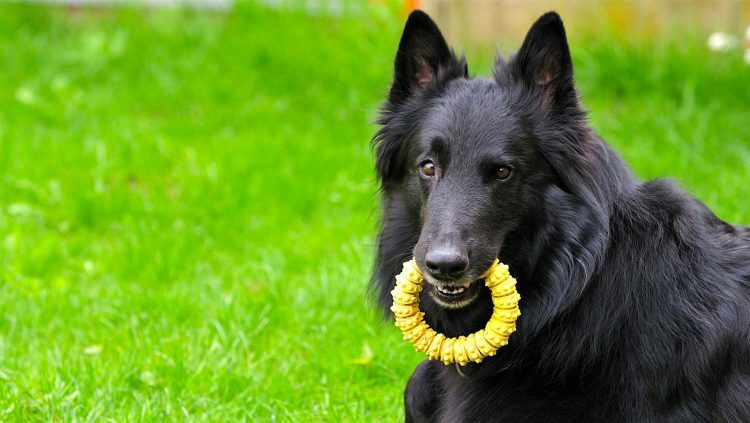 The Groenendael — often referred to as the Belgian sheepdog — is a well-balanced and elegant dog. The almond-shaped eyes are brown to dark brown. The ears are triangular, stiff and remain erect while the feathered tail is strong at the base, with the tailbone reaching the hock. These dogs’ weather-resistant coats are long, with both an outer coat and an undercoat. A ruff of fur around the neck complements the extra feathering on the legs, tail and under the body. The black coat includes small traces of white on the forechest, chin, feet and muzzle. Groenendaels trace their roots to the 1800s in Groenendael, Belgium. The dogs were officially given the name in 1910 for the village of Groenendael, where a man named Nicolas Rose first bred them. The Groenendael is 1 of 4 varieties of Belgian sheepdogs. The others are the Belgian Malinois, Belgian Tervuren and Belgian Laekenois. Thanks to their intelligence and versatility, the Belgian sheepdogs were used for a variety of functions, including serving with police forces in Belgium, Paris, New York and New Jersey. During World Wars I and II, they were message carriers, Red Cross dogs and defense dogs. In 1911, the Groenendael was registered in the United States, with the first Belgian Sheepdog Club of America forming a few years later. However, the numbers of Groenendaels dwindled after the Great Depression. Interest was soon renewed, and in 1949 the current Belgian Sheepdog Club of America was formed. Groenendaels were recognized by the American Kennel Club (AKC) in 1912. Today, the breed remains exceptionally versatile, serving as police dogs, guide dogs, therapy dogs and on search and rescue teams. Belgian sheepdogs are bright, obedient and protective dogs who need extensive socialization when young to prevent shyness or sensitivity. They can act dominant toward other dogs and animals, so they need some training to rein in this behavior. If socialized properly, they can get along with other dogs — but they may not get along well with non-canine pets. They also need lots of exercise to expel their energy, but beware: This breed may display instinctive herding behavior, such as chasing or nipping at heels. You should probably be experienced with dogs before bringing home a Belgian sheepdog like the Groenendael. These dogs need a strong alpha figure, or else they can be difficult to live with. HIGH: Groenendaels require a lot of physical and mental stimulation. They don’t do well left alone or kenneled for hours every day. Long daily walks or jogs are a must, as well as plenty of off-leash running and playing time. Plan activities, such as play or training, that stimulate your dog’s intelligence. HIGH: The Groenendael has a long, dense and thick coat that’s quick to mat. Remove mats as soon as they begin to form. This breed is a heavy shedder and requires daily brushing. Pay particular attention to the ruff and under the belly. 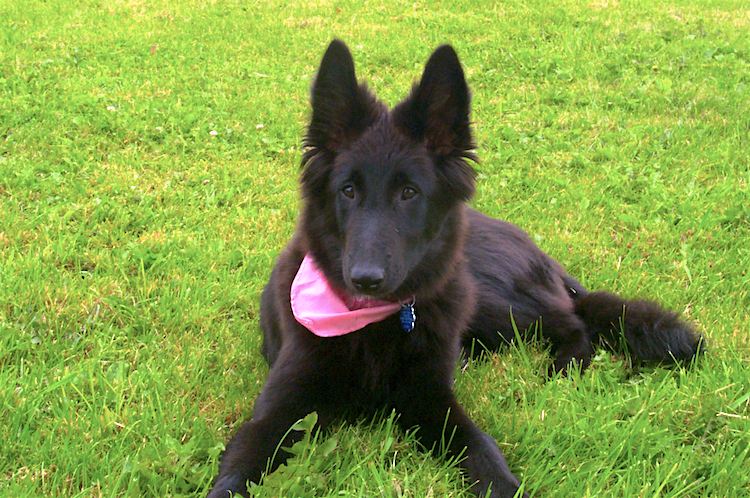 Many Belgian sheepdogs, including purebreds, are currently in shelters or rescues across the country. Start your search on Petful’s free pet adoption page. If you contact a breeder, familiarize yourself with puppy mill warning signs and ask for the dog’s health history and background. A good breeder has this information readily available to share.